Not so long ago, in September 2014, as shown in the screenshot below right from Google Street View, the address 202 Flatbush belonged to New Directions, a substance abuse treatment program that has since moved to 500 Atlantic Avenue, between Nevins Street and Third Avenue. 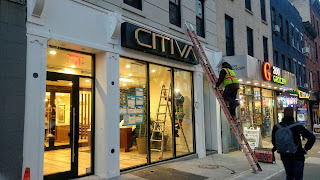 Now that address--just a block north of the Barclays Center, and another sign of the transformation of Flatbush--is home to Citiva, Brooklyn's first medical marijuana dispensary, in what might seem a karmic twist. The dispensary opened 12/30/18. The signage is classy, and the look boutique-y, as shown in the handout photo below right. And on Tuesday, 1/22/19, as shown in the photo above left, they were getting their sign up. Should Gov. Andrew Cuomo, once an opponent of legalizing recreational marijuana, follow through with plans for such legalization--see more on that below--companies like Citiva (sounds like... sativa, a cannabis type) may be well-positioned to expand their role. Check out the coverage in the Brooklyn Paper (Pot luck! Boro’s first medical-marijuana dispensary opens for eligible patients), NY1 (Brooklyn Gets its First Marijuana Dispensary), Leafly (Go Inside Brooklyn’s First Medical Marijuana Dispensary) and The Bridge (Why Brooklyn’s First Marijuana Dispensary Looks Like a Spa). As noted by NY1, "This is the seventh medical marijuana dispensary to open in the city and the first of four Citiva that will operate in the state." Here's the press release, iAnthus Opens Flagship Citiva Dispensary in Brooklyn, First Dispensary Serving Borough of 2.6 Million People, from the "leading publicly traded U.S. cannabis operator," as iAnthus dubs itself. 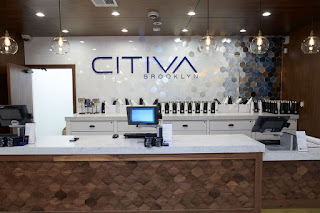 And it came with an enthusiastic quote from Brooklyn Borough President Eric Adams: "I'm excited that Citiva has opened Brooklyn's first regulated medical marijuana dispensary, providing valuable palliative care to certified patients in our borough." 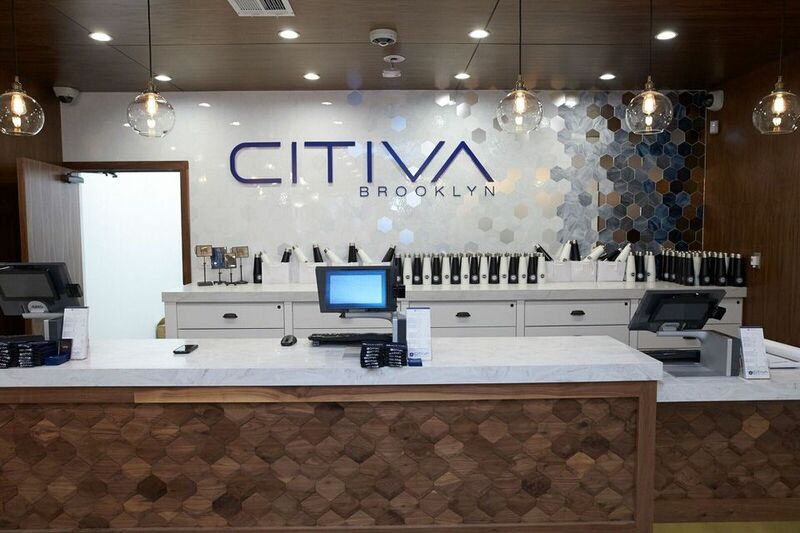 The Citiva Brooklyn dispensary operates 7 days a week from 10 am – 7 pm, according to the press release. Each of the following groups are eligible for a 20% discount on products sold at the Brooklyn Dispensary: seniors 65+, veterans, new patients, and patients receiving government assistance. 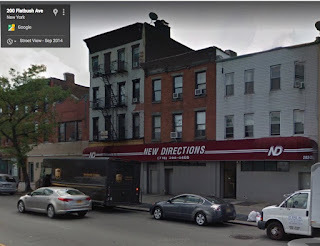 And guess what: another medical marijuana dispensary is coming to 44 Court Street in Downtown Brooklyn, near Borough Hall between Joralemon and Remsen streets, as early as the third quarter of this year, according to the Commercial Observer. Legal marijuana would bring big changes to New York. The bill that Gov. Andrew Cuomo unveiled in his state budget proposal earlier this month would set up a licensing structure for cannabis production, distribution, sale and delivery; seal the records of some past offenders; help minority entrepreneurs enter the market; and collect tax revenue that would go toward a number of public health initiatives, including driver safety and substance-abuse prevention. Flamm noted that the robust illegal trade would likely remain, and it's unclear how previous "unlicensed operators" would be welcomed in as businesspeople. marijuana providers differently, with one banning such medical providers from moving into retail, while Cuomo's proposal would allow that. When Brooklyn had real "weed spots"
When I was younger Brooklyn used to have weed spots, actual storefronts that sold weed. Some of these “spots” were running businesses that happened to sell weed, but then you always had a few storefronts that you knew as soon as you walked in that they don’t sell anything else but ganja. They’d have expired cereal on the shelves, or nothing at all on the shelves. The whole store would smell like Egyptian Musk, masking the smell of the ganja. The counter would have a bulletproof partition, the person working on the other side of it always seeming to be more suspicious of you than you were of him. This was the normal trappings of a weed spot in the late 80’s and early 90’s. And they were all over the borough. You name a neighborhood and I could tell you about a weed spot there. The Strong Man spot on Franklin. The Record Store on Nostrand and Dean. The Tony Rebel spot on Putnam. The Bumba Red spot on Albany and Atlantic. These weren’t the actual business names, but in the smoke community these nicknames identified the businesses that sold weed.